In the latest sign that the Consumer Financial Protection Bureau is pulling back from aggressive enforcement, it dropped an investigation triggered by a 2013 ProPublica story about a lender that charges triple-digit interest rates. In 2013, ProPublica published an investigation of the subprime lender World Finance. World was charging annual interest rates that could exceed 200 percent, often trapping customers in cycles of debt by enticing them to renew the loans over and over. In states where laws barred such high rates, the installment lender loaded many loans with nearly useless insurance products that bloated the cost. The company boasted over 800,000 customers, part of an installment loan industry that claimed to loan to millions. The following year, World disclosed that it was under investigation by the Consumer Financial Protection Bureau. 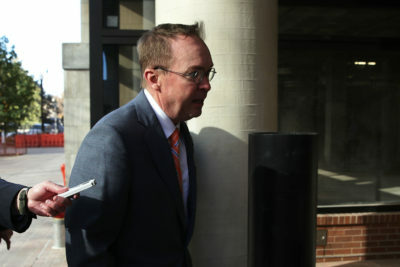 The CFPB, the brainchild of Sen. Elizabeth Warren, D-Mass., was created by the 2010 Dodd-Frank financial reform bill, and under the leadership of Richard Cordray, the agency took action against credit card lenders, mortgage servicers, payday lenders and others for unfair practices against consumers. In the past month, Mulvaney’s influence has become increasingly apparent. 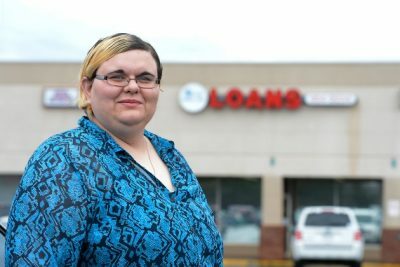 The CFPB announced it will “reconsider” its landmark rule on payday loans, which was issued last year and aimed to prevent borrowers from getting stuck just paying the interest again and again on such loans because they could not afford to pay them off. The next day, the bureau announced it would be inviting comment on all aspects of the CFPB’s business “to suggest ways to improve outcomes for both consumers and covered entities.” It has also begun to drop enforcement actions. Last week, it dropped a lawsuit against a group of payday lenders that charged interest rates that touched 950 percent. The companies were associated with a Native American tribe, a common dodge the industry has used because it allows lenders to evade state interest-rate caps. And around the same time, it turns out, the CFPB also sent a letter notifying World Finance that it was dropping its investigation into the installment lender. The company disclosed the letter in a press release yesterday. Although the CFPB had not actually sued the company, it did notify World in 2015 that an enforcement action was likely, according to a company disclosure. Warren, in an email responding to questions about the CFPB’s decision, said the action showed Mulvaney was making good on his earlier vows. As the International Business Times reported today, World contributed a total of $4,500 to Mulvaney when he was a congressman from South Carolina, where World is headquartered. 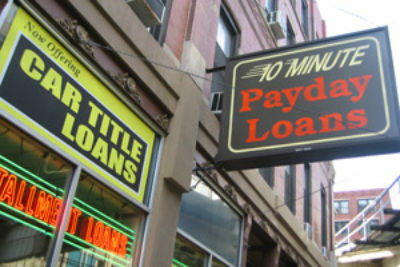 Many people know the dangers of payday loans. But "installment loans" also have sky-high rates and work by getting borrowers — usually poor — to renew over and over. We take you inside one of the biggest installment lenders, billion-dollar World Finance. No area of Americans’ financial lives will be quite so affected by the CFPB’s recent turnaround as high-cost lending. Prior to the CFPB’s existence, there was virtually no federal regulation of these types of loans, which are spottily regulated at the state level. Although public opinion generally runs against allowing interest rates in the triple digits, the industry is adept at evading state rules and gaining sway with state lawmakers. The CFPB rule would have dramatically curtailed payday and other high-cost short-term loans, but notably would have left longer-term loans like those offered by World Finance untouched. That made the possibility of an enforcement action against World particularly noteworthy. But the industry can apparently now rest easy. Any near-term threats to its ways of doing business are likely to emerge from the states, where past fights over interest-rate caps have been contentious and sometimes ugly.